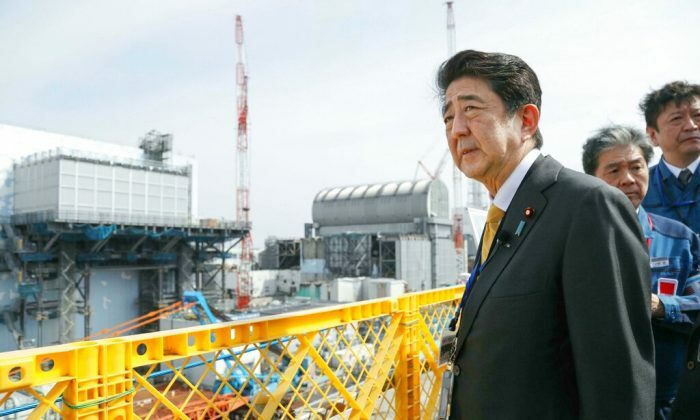 TOKYO—The operator of the tsunami-wrecked Fukushima nuclear plant began removing fuel on April 15 from a cooling pool at one of three reactors that melted down in the 2011 disaster, a milestone in what will be a decades-long process to decommission the facility. Removing fuel units from the cooling pools comes ahead of the real challenge of removing melted fuel from inside the reactors, but details of how that might be done are still largely unknown. Removing the fuel in the cooling pools was delayed more than four years by mishaps, high radiation, and radioactive debris from an explosion that occurred at the time of the reactor meltdowns, underscoring the difficulties that remain. The work is carried out remotely from a control room about 546 yards away because of still-high radiation levels inside the reactor building that houses the pool.